Pastor Julie has a passion for preaching and teaching the Good News of God’s love for all people, and walking with them through the various stages of life. 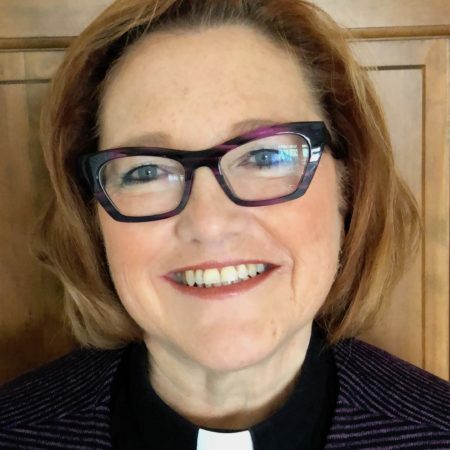 While much of her time is spent overseeing the life and ministry of the congregation, she also enjoys time with her husband Rhett and their family.Pastor Julie received her Masters of Divinity degree from Luther Seminary in 2003 and has been in ordained ministry for 15 years. She served as a Tentmaker-trained Youth Minister for 6 years prior to entering seminary. Ministry is her second career. As Assistant Vice President of Marketing for LifeUSA before entering ministry, Pastor Julie spent 17 years in the insurance industry.